Releasing the Magic! : SKILLS ARE THE FUTURE! 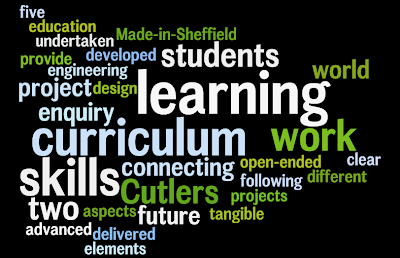 I was in Sheffield this morning with colleagues from B&E South Yorkshire and Sheffield's 14-19 team to finalise some of the support available to schools through the Cutlers 'Made in Sheffield' Project. We are building on hard work that so many people have put into business-education partnership working over the years to create a project-based employer-led curriculum approach owned by the project schools and supported by businesses across Sheffield. 1. 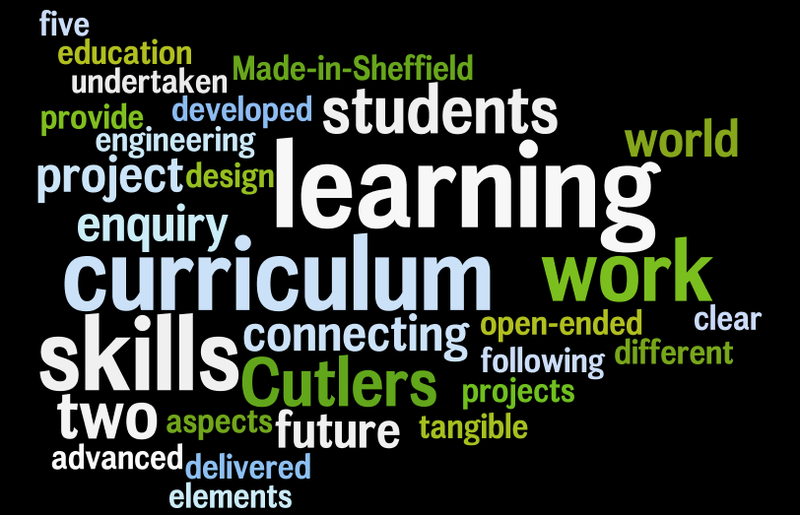 At the heart of the Cutlers ‘Made in Sheffield’ initiative is the introduction/development of employer led project-based/enquiry-based learning. This will be modelled on the pioneering work undertaken by HighTecHigh in California and developed through the ‘Learning Futures’ project in this country supported by the Paul Hamlyn Foundation and the Innovation Unit. · A menu of opportunities/activities connecting learning to the world of work. Through these connected elements students will be able to demonstrate competence and this will be captured and accredited in the Cutlers ‘Made in Sheffield’ learning and skills passport.We have already worked with employers and established a Cutlers 'Made in Sheffield' skills set which will ensure that young people involved in the project gain the necessary employability skills and are work-ready. We have also established strong and highly productive relationships between employers and the project schools so that these employers become passionate and committed advocates for young people and the project schools. We are in the process of identifying our first Cutlers 'Made in Sheffield' Ambassadors who will be great examples of what our project can achieve and be great role models for young people in the project schools.